Manila Bay has long been equated to the word ‘romantic’. It is the same bay that once greeted big boats form the Pacific Ocean to the land of Manila. 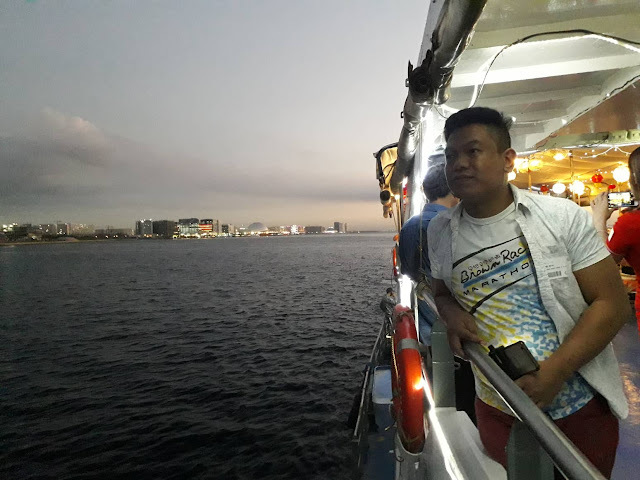 To modern people, Manila Bay plays a special place in the heart of to thousands of lovers who spent their evenings watching the sun set in the tranquil west. The bay’s beauty never perished; it is only temporarily covered covered with human essentials that was somehow became an eye sore to everyone. Thanks to the ongoing efforts of the government and the hundreds of volunteers making miracles happen. An unexpected way of celebrating the bay’s grandeur is sitting on a cruise ship, watching the sun flashes its final ray of smile for the day before it totally gives way to the darkness that is welcomed by the cold wind and the tide of the seas. 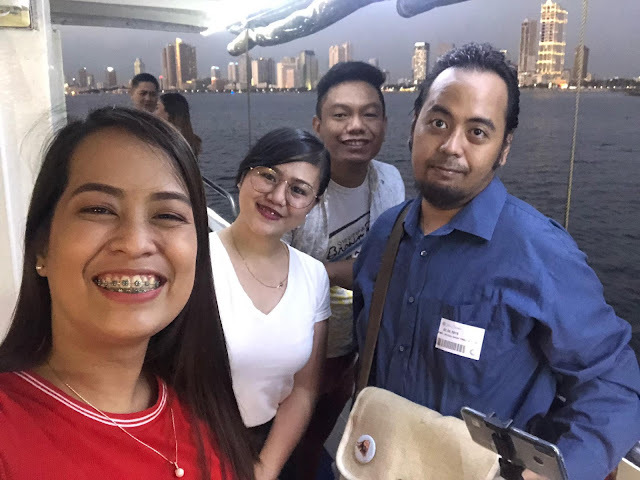 Last Chinese New Year, I experienced the spiritual journey to the heart of Manila Bay through a dinner cruise courtesy of Sun Cruises. Many would consider the moment a romantic one. But not for me because I was not with someone doing that romantic stuff. Instead, I was with a group of friends who also ended the night in high spirits. The cruise has two decks that can occupy a total of 80 persons. At the lower deck, food is served and the noise is lesser due to the exterior walls—the sea and the surrounding views can still be seen through the windows. Up at the higher deck, the performer stays behind the captain’s cockpit. The upper deck has no external wall so the gushing of the cold wind is totally part of the night. I prefer the higher deck due to its wider view of the surroundings. However during dinner, you need to go down to get food from the lower deck. 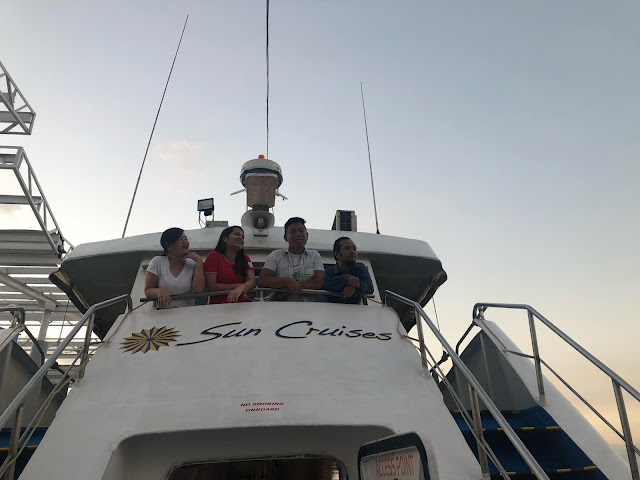 Let me lower down your expectation-- it is a Manila Bay Cruise, not a dinner party. The food is not the reason why you are there. The meal set during that evening was rice, canton (I skipped this), fish filet, and chicken. The food was not bad, but the views are the real takeaways from the experience of luxury. They also serve wine as part of the package. When you order from their bar, make sure you have cash to pay since they still do not have the facility for cashless transactions. The views are the real reason why you are there. I find it a spiritual journey. The moment I breathe the sea air, I was reminded of how nature gives the most beautiful things on earth. The sunset was very quick. 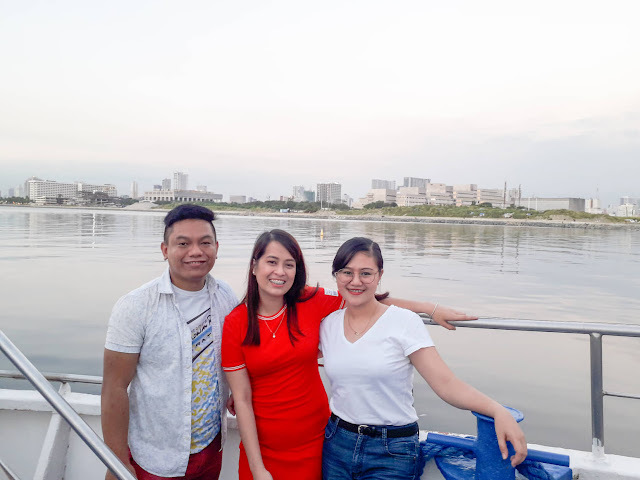 In just a few minutes, we were left floating in the naughty sea with the view of Mall of Asia, the Eye of Manila, Solaire, Conrad, Sofitel, and the other recognizable buildings along Roxas Boulevard and a part of the Aseana City. The view resembles the Victoria Harbour of Hong Kong, my friends say. I really cannot say since I have not been there YET. What better way of enjoying the view and the companionship of friends than live acoustic music in the air. You can request songs from a singer-guitarist who does two sets for the entire cruise. If that was my night, I could have requested my favorite “Phantom of the Opera”. But I was too mentally healthy that time so I spared the musician. Let me give some special mention to the staff that night who did a good job in assisting us. 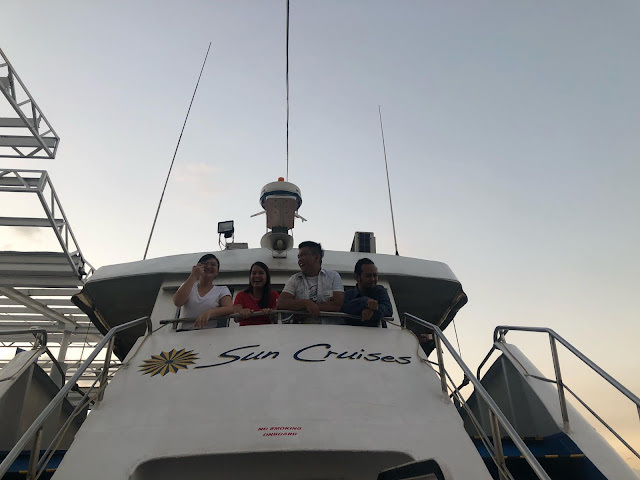 To book your Manila Bay Cruise, visit their Facebook page HERE or their website HERE.